In her Daring Women keynote speech, Microsoft executive MJ DePalma discusses the "subtle but powerful ways we can stand in the gap for others and make a positive impact on our world." Are you an ally? To whom and for what reason? If you are, I applaud you, and if you're not sure if you are or how to be one, watch my talk and learn the subtle but powerful ways we can stand in the gap for others and make a positive impact on our world. I guarantee you -- goodness will come back to your twenty-fold. The power of the ally is infinite. I must celebrate my mentors and way makers -- allies, who inspired me to embrace vulnerability as a source of strength and reverberating courage. In turn I've become a way maker. They inspired me to say yes to opportunities that have stretched my capabilities outside my comfort zone until it's become comfortable. My allies stirred inside me a kind of bravery and passionate vision where I'll keep saying yes to larger and larger audiences to tell my story of personal transformation. Why? Because each and every time I see the positive domino effect it has on others. I absolutely know I'm onto something. I have mounds of evidence (like messages on LinkedIn) that by passing on this story of how to be an ally it continues the domino effect started by those that came before my allies (their allies), and in turn shaped my path in life in for the better. Dare to be authentic, dare to find your truth, you know -- your REAL truth under the layers of what society has begged you to pretend to be and you'll find the people to be allied with. Find you, embrace your truth and show up as you! How else can you attract like minded people who want to join in and help you in your cause, your purpose, or in your new project? How else can you find others to lift up? That is the change making power an ally can wield. We can all have this positive far reaching effect on the world around us and our world needs more ally-minded people. 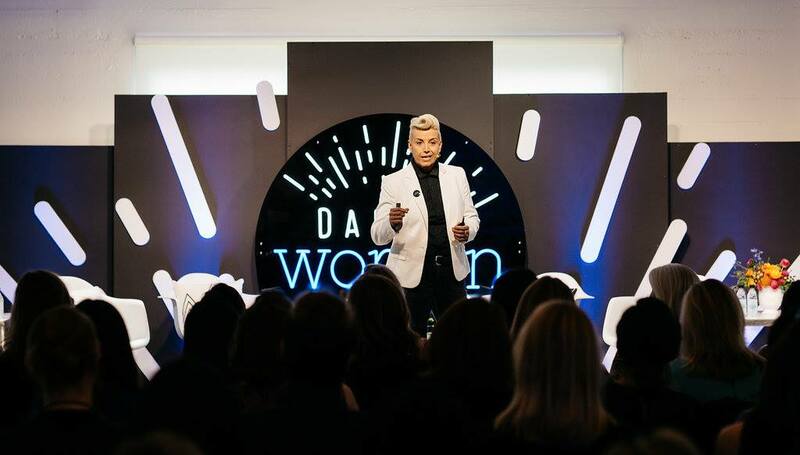 This past May, I had the honor to keynote Seattle Business magazine’s inaugural Daring Women event with my 18-minute talk, “Dare to Be an Ally.” It was a sold-out event and I would like to continue the domino effect. So have a watch, and I truly hope it might inspire you to dare to be an ally. Stay curious! MJ DePalma is the Sr. Global Engagement Strategist for Bing Ads at Microsoft and a huge voice for equality, diversity and inclusion throughout Microsoft and the world. Find her on LinkedIn. Congratulations to the 2019 honorees!